At the beginning of the week, three Turkish citizens, a teacher and two former court clerks who had been dismissed from their jobs over alleged ties to the Gülen movement, were arrested at the border before attempting to cross Evros river. So far in 2019, between January and March, a total of 2,886 migrants crossed from Turkey into Greece via Evros river according to the UNHCR. The numbers were around the same during the same period in 2018. It was in April last year when almost 4,000 crossed into Greece by land in one month alone. Turkish state-run news agency Anadolu reports that 773 ‘illegal’ migrants were apprehended in the border region around Edirne last week. Anadolu regularly reports about these arrests of ‘irregular’ migrants in all border regions of Turkey, often providing contradictory numbers, as we addressed on HarekAct in February. So far in 2019, between January until March, 5,241 migrants arrived on the Greek Aegean islands by sea according to the UNHCR, while 3,124 migrants were arrested in Turkey by the Police, Gendarmerie or Coast Guard before attempting to cross the sea. A further 4,316 migrants were intercepted by the Turkish Coast Guard according to the official statistics by the Turkish Coast Guard. While around one in two boats made it to the Greek islands in mid 2018 (with the other one being intercepted back to Turkey) the proportion of interceptions back to Turkey increased in 2019 with 59 percent being intercepted by the Turkish Coast Guard and only 41 percent of all boats making it to the Greek islands. Between 17 February and 8 March more than 100 military vessels took part in Turkey’s largest military exercise in the Aegean, Mediterranean and Black Sea. The operation called ‘mavi vatan’ (blue homeland) had a massive environmental impact on maritime life. In the last few weeks 13 dolphins have been found stranded on the coasts of Turkey and Greece. Apparently they died from sound waves emitted from military-grade sonars and the death toll is believed to be even higher. Following false information that the border in Northern Greece would re-open on the 4 – 5 April, many refugees from Iraq, Syria and Afghanistan left the hotspots and shelters in Northern Greece, took to the streets in what they called a ‘march of hope’ and reached Diavata camp in the outskirts of Thessaloniki, where they were stopped by the police. Many others had been stopped on the way. Some of the reasons for the protests include cuts in social services, the situation of legal limbo many find themselves in after months and years of waiting, and the situation that refugees who have been living in shelters for more than six months are supposed to leave without being offered an alternative. Since mid-last week, around 1,000 people had been camping in the fields outside Diavata camp. The police reacted in a violent manner and did not allow them to continue their journey towards the border. Welcome2Europe reports that “repeated attempts to move beyond the police blockade were forcibly stopped and small clashes have erupted again and again”. With the situation getting increasingly tense, many refugees decided to return to their shelters. On Sunday most of the people were evicted from the informal camp and returned to their camps by buses organized by the IOM. On Sunday around 50 people remained on site but the regional coordinator of the Migration Policy Ministry for Northern Greece, Nikos Rangos, said that by Monday the informal camp would be removed. 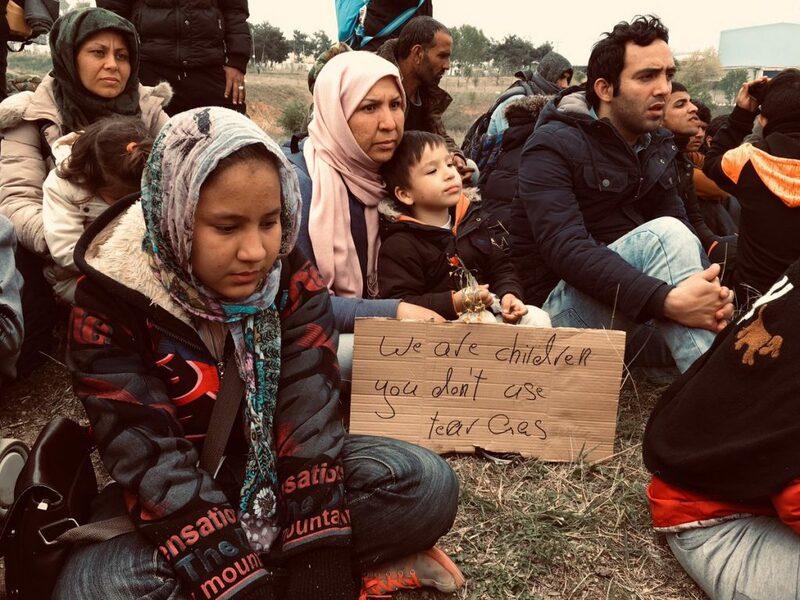 Driven by the same false information about the border opening shared widely on Social Media, hundreds of mainly Afghan and Iranian refugees living in Turkey travelled to Edirne in the hope of crossing the border to Europe by foot. 950 migrants were arrested and sent to the immigration authorities around Edirne. The European Council for Refugees and Exiles updated the AIDA country report on Turkey. The report “offers a comprehensive analysis of legislative, policy and practice developments relating to the asylum procedure, reception conditions, detention of asylum seekers, and content of international protection. The report draws on field visits and information collected from stakeholders and legal practitioners”. The full report can be found here.